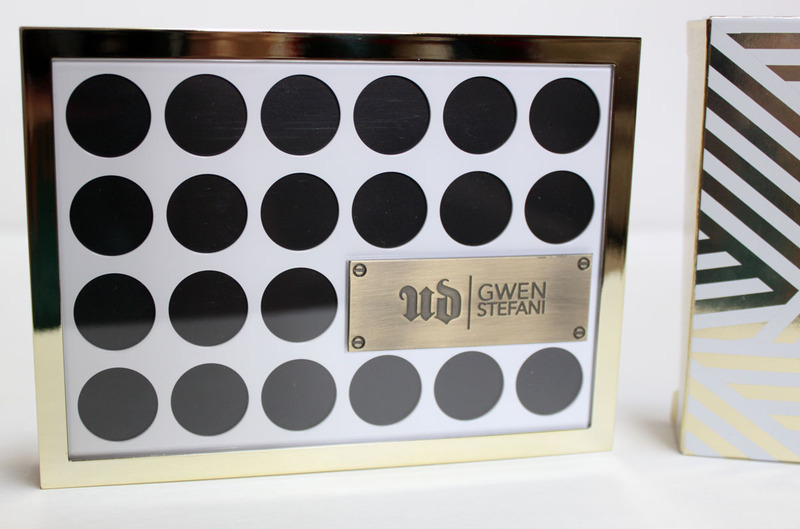 The Gwen Stefani for Urban Decay Eyeshadow Palette landed under my Christmas Tree this year. Having been a fan of Gwen and No Doubt since the mid 90's this was a long awaited collaboration! I wiped off all my eye makeup on Christmas Day just so I could get in on this palette immediately. From the promo shots I can't say I was blown away by this palette, it wasn't nearly as bold as I was expecting. 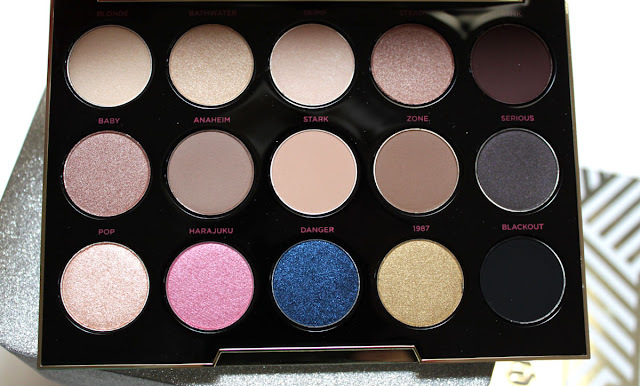 At nearly $60 buying a palette because Gwen's name is imprinted on it seemed something the 14 year old fan-girl in me might be telling me to do. After further inspection I really loved that this was mostly a neutrals palette because me, not 14 any more, wears neutrals on a daily basis. When I read more about how Gwen had her hand in every detail of this palette from the case to the amazing shades. Filling a void by creating the exact shades she always wished she had in her collection, I knew this wasn't just a name slapped on to sell. It was a carefully curated makeup masterpiece that would become one of my favorite gifts to receive this year. How to die for is the packaging? I want to display this on top of my vanity it is so luxe looking. 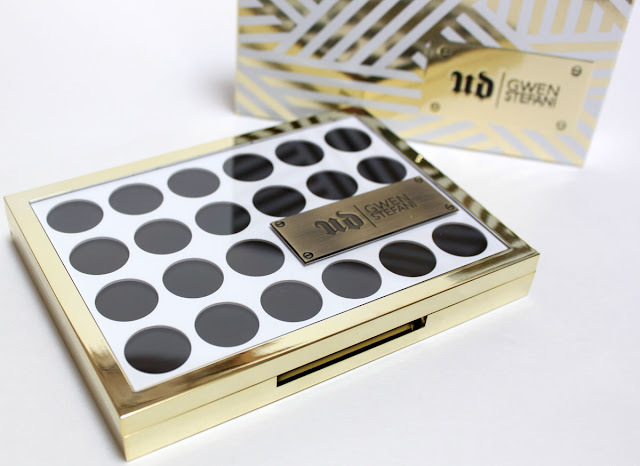 Having a new Urban Decay Palette with a completely fresh design to it was definitely due. I am all about the NAKEDS but they are becoming a little repetitive. 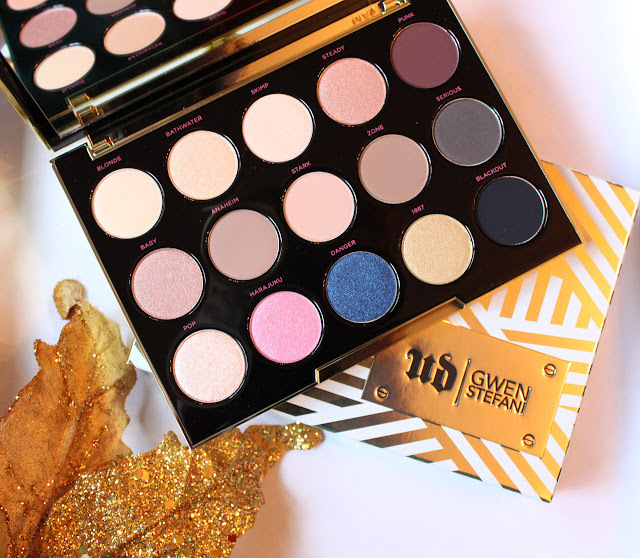 This palette features her 15 must-have shades of eye shadow, including 12 never-seen-before colors and three that are from the Urban Decay shadow collection. 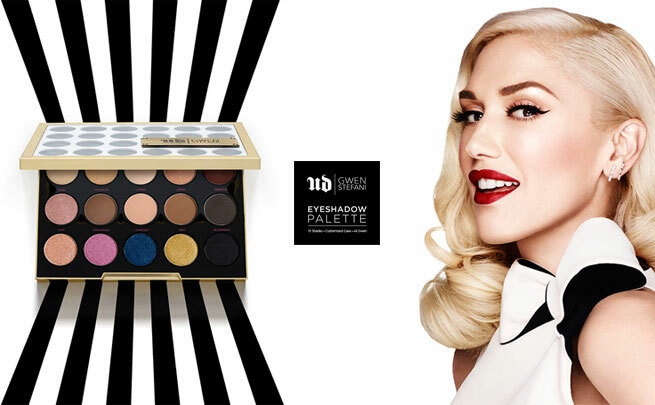 With the ultimate range of neutrals and a few jewel tones to mix things up, this is Gwen Stefani’s go-to kit to create her most iconic looks. With these shades in your beauty wardrobe, you’ll have everything you need to recreate these signature looks for yourself. 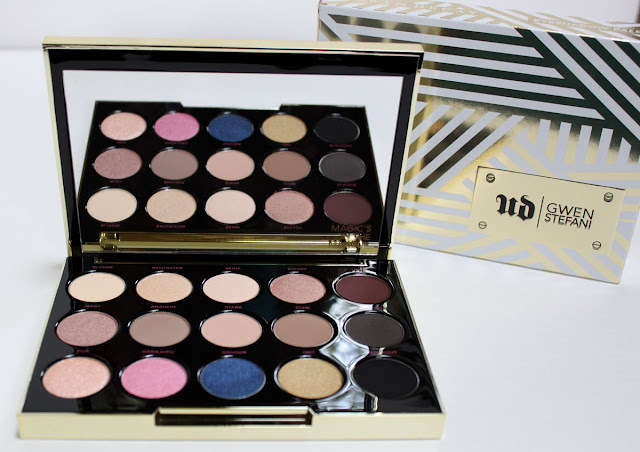 Each eye shadow in this palette is formulated with Urban Decay’s Pigment Infusion System™, the proprietary blend of ingredients that gives every shade its velvety texture, rich color, serious staying power, and blendability. 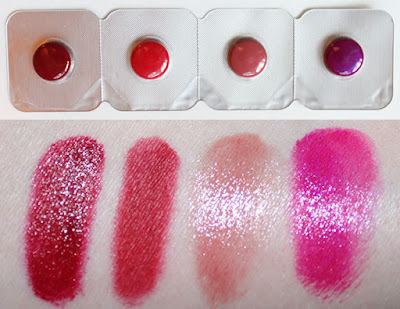 Pop (pale coral with iridescent sparkle), Harajuku (metallic blue-pink/iridescent micro-shimmer), Danger (deep metallic royal blue/blue micro-sparkle), 1987 (bright metallic yellow-gold), Blackout (blackest black matte). I am over the moon for this palette! The shades pair together so perfectly that you can tell they were put together with full looks in mind. The textures are what you would expect from Urban Decay, creamy, pigmented and rich with excellent color payoff. My favorite part of this formula is that the eye makeup always looks freshly applied. These are eyeshadows that will get you through the day looking like a boss. It is a workhorse for us pale girls. Favorite Urban Decay Palette by far! 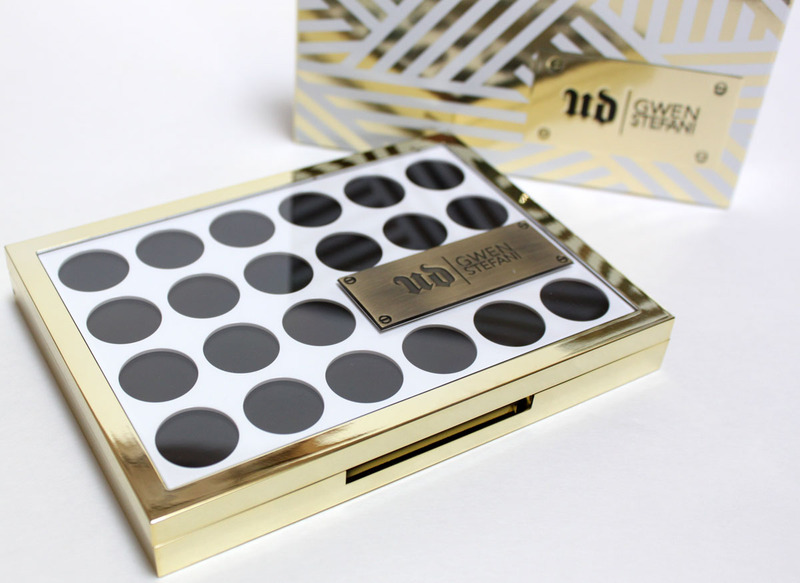 If you like neutrals with a brush of sass you will be very happy with G for UD. Sure, it's not bam in your face electric colors but that is what lipstick is for! Along with the UD Gwen Palette came a sampling of the upcoming Lipstick Collection. 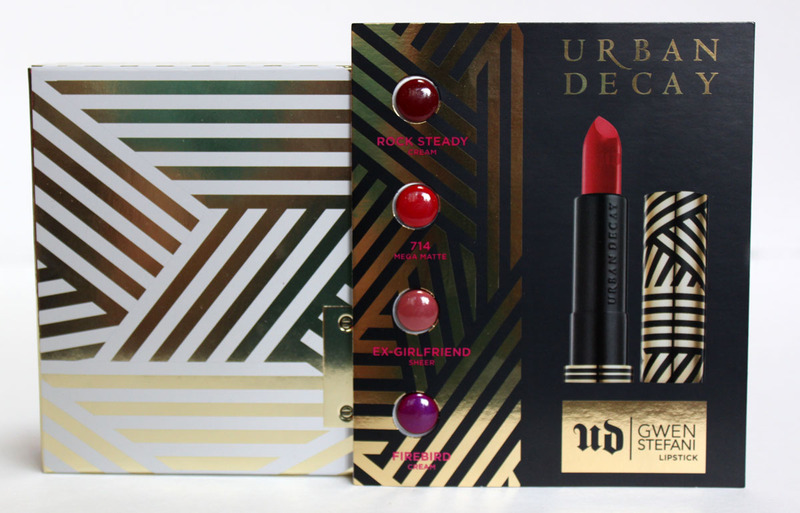 Now this is going to hurt my wallet because I live for Urban Decay Lipstick. I want three of these just from the sampler AT MINIMUM. The Sheer formula of Ex-Girlfriend I would skip, as you can see it barely showed up on my skin. The cream formulas are amazing though. I can not wait to pick these up along with the blush palette, lip pencils, and brow box that just launched on UrbanDecay.com. Urban Decay and Gwen is one hella good collaboration.